President Trump called for the firing of Broward County elections supervisor Brenda Snipes on Wednesday. TheDC asked the president specifically if he considers this behavior illegal and what Snipes future in her role as an election official should be. “She’s a disaster,” Trump said of Snipes. He pointed to Snipes’ past alleged election illegality, which included destroying ballots and opening ballots illegally. Brenda Snipes has a history of violating the law and a judge ruled last week she violated the Florida constitution. Tens of thousands of ballots magically appeared after election day and Broward county refused to disclose how many ballots it had left to tabulate. Federal prosecutors also discovered altered election documents in Broward County which was tied to the Florida Democrat Party. 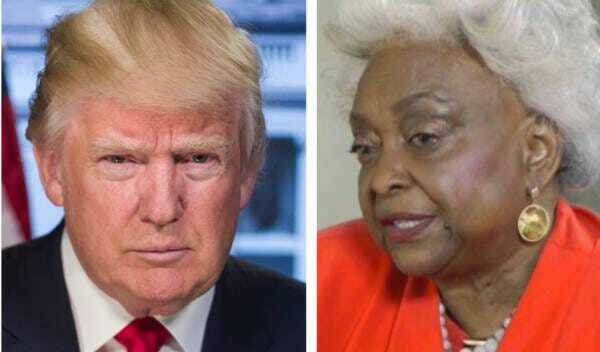 The post President Trump Calls For Broward County Elections Supervisor Brenda Snipes to be Fired appeared first on The Gateway Pundit.